Wendy and I went to different schools. I went to Lockport. She went to Roy-Hart. Despite the different sizes in school populations, we both remember having five or six dances a year at the school, starting in junior high. Thinking about the dances my daughters do or do not go to, we probably had twice the dances that my kids get. So what’s changed. According to one of the twins, people just aren’t buying tickets for the dances, so they’ve systematically started to combine them or outright cancel some. The kids just into dances anymore. Partly, it seems to be because they’d rather socialize through their smartphones, sitting in near silence in House Party for twenty minutes than meet actual people. I can sort of see that. Meeting people can be awkward, and finding a dance partner can be even more nerve wracking. Trust me, I’ve been there. 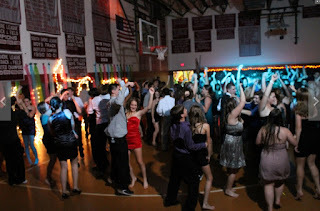 When I was a student at Emmet Belknap (when it houses 7th, 8th, and 9th grades), I went to almost all the dances. Until I was in 9th grade, I went with some friends and looked for a dance partner once I got there. I was mostly unsuccessful, but the girlfriend I had who went to those dances with me? Yeah, I met her at one of the dances. She was a year younger, so I wasn’t running into her regularly during the school day. Without going to the dance, I would have never met her, let alone date her. Or that path would have been a lot more difficult. To be fair, it was not all fun and games when it came to meeting girls at the dances. I was far more likely to strike out than win the inning. A lot of the time, we were wallflowers. Sure, it was boring and sad sometimes, but I liked to hang out and listen to loud music. I even went to a dance in Medina with a friend to see if I had any better luck with the girls there. Marginally. It was at one of the Emmet Belknap dances that I slow danced with a girl for the first time. It was my friend’s sister (a huge no-no, by the way). We all rode together to the dance and I asked her in the car every time there was a dance. Finally she said yes, mostly to get me to stop asking. So when the DJ announced that the last song was coming up (always a slow song), I found her and we danced. Much to her chagrin, the song was the full version of “Stairway to Heaven.” Ten minutes of awkward teenage dancing. One of my biggest junior high regrets was the one time I had taken a date to one of the dances, and I virtually ignored her to talk to a girl I had broken up with some weeks before. It was terrible of me. The girl was new to our school, and she moved away right after the year ended. I’ve always felt awful about the way I treated her. My friend, Gary, took her under his wing and stayed with her for the rest of the dance. He had some not so nice things to say about me afterwards. He was totally right. Sometimes, I wish I knew where she went so I could apologize. 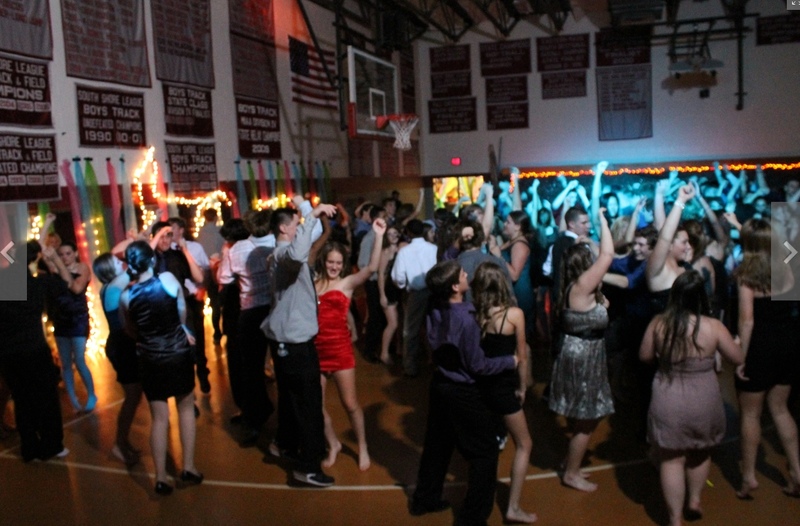 For the most part, the dances were a great place for all of us to get together outside of the confines of the classroom. There were definitely cliques running strong at the dances, but they were the same you saw in the hallways during the school day. But once the music started, you could all dance together. Sometimes you got to talk to people you didn’t get to see as much because of different classes. And sometimes you could meet someone you never met. The good always have the ability to outweigh the bad. The twins have their own hypotheses as to why the kids don’t go to the school dances anymore. One says the price is too high, and people would rather socialize on their phones. She’s guilty of that one herself. She’s always on the phone. The other twin says she doesn’t go because the last time she went, there was just too much drama, especially in the girls’ bathroom. She didn’t like it, so she avoids it. I guess those scenes from “Grease” when they had the dance at Rydell High are a thing of the past. Even ours weren’t as awesome as those dances, and I thought we had great dances. Although, we never played “Willie and the Hand Jive” at our dances. I think the kids could use one, old-fashioned sock hop. There will be no Whip. There will be no Nae Nae. Craig Bacon just put on his dancing shoe because he’s a dancin’ fool. He’s no disco boy, but he says you should sheik yerbouti.